Following recent reports outlining the rise in brands using influencer marketing, Pan Atlantic Inc. reviews some of the core factors they believe are responsible for this newfound growth. Influencer marketing is a form of marketing that identifies and targets individuals who have influence over potential buyers. Pan Atlantic Inc. believes that brands have the ability to identify individuals that have influence over potential buyers, and subsequently create marketing activities around these influencers. The firm argue that influence can come from a variety of sources – any group, person, brand or place has potential to be an influencer. An easy example is the use of celebrity endorsements used to market products through their authority and reputation. So what factors have contributed to the rise in influencer marketing? Pan Atlantic Inc. argue that social media has irrevocably altered the balance of power between brand and consumer as word of mouth and peer recommendations now play a much greater role in the consumer decision-making and purchasing processes. Indeed, according to a study conducted by Altimeter Group 35 per cent of social media professionals considered their use of influencer marketing to be at a mature stage, while only 14 per cent had no plans to use it as part of their social strategy in 2015. Ad blockers on internet browsers are also being used more than ever before, with consumers having the ability to choose when and what they are exposed to – so brands are looking to use influencer marketing to reach potential audiences. Pan Atlantic Inc. argues that influencer marketing is very effective because people no longer trust ads, but they do trust people. Partnerships with bloggers, bloggers and influencers who have their own online army of loyal fans can be extremely useful to businesses, and can allow brands to reach new customers through a trusted voice. Pan Atlantic Inc. states that instead of looking at companies as they did in the past, consumers are now looking and each other and their favourite personalities online, most of whom have hoards of followers on Facebook, Twitter, YouTube, Instagram, Snapchat, & Pinterest. 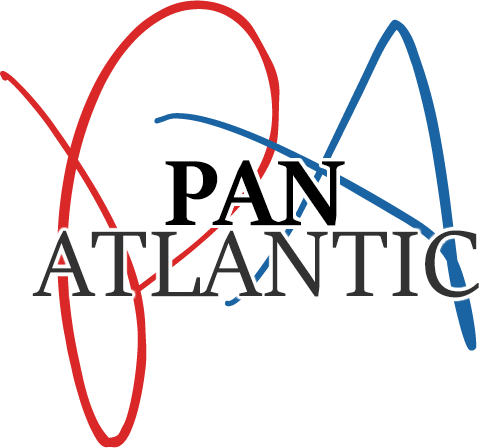 Pan Atlantic Inc. ensure effective communication with their clients and their customers at all times as, through these face-to-face marketing interactions, the firm are able to build lasting connections with consumers on behalf of their clients. In turn, these relationships help their clients to boost sales and expand into new markets and demographics. The firm believes that influencer marketing shares many similarities with their direct marketing strategies in the sense that influencers also play a major role in guiding buyers in their experience with a brand – amplifying the brand story to the target audience. Influencer marketing often involves directly interacting and building relationships with customers, providing promotional discounts, loyalty programs, or even creating a customer advisory board. Pan Atlantic Inc. are specialists in offering innovative direct marketing solutions to businesses across the United States. The firm strongly believes that outsourcing remains one of the most cost-effective alternatives for businesses that are looking to make the most of their time and focus on business growth, and enjoy a hugely positive ROI.